We are so excited that Rachael has chosen to join team FIX ‘N’ CHIPS! 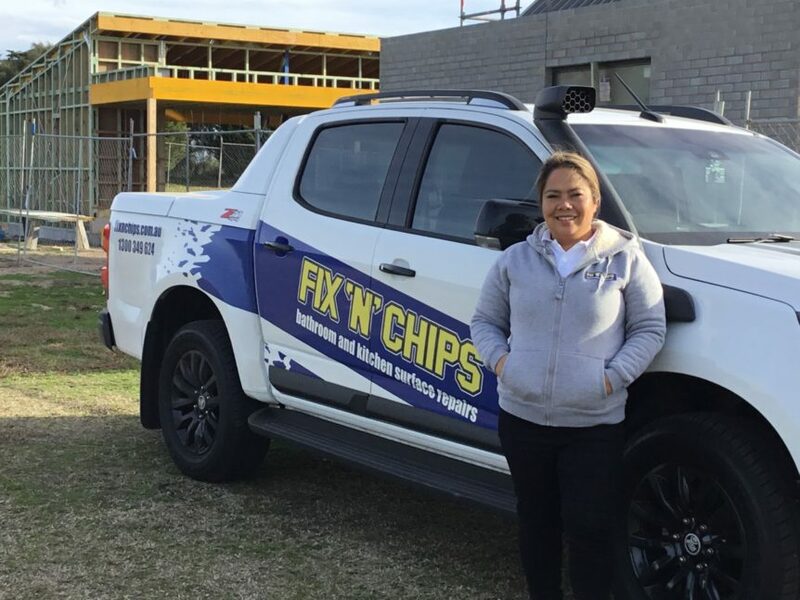 Rachael has the honour of being our first female Franchisee, and we couldn’t ask for anyone more equipped to own and operate her own successful FIX ‘N’ CHIPS business. She is also a very busy mum of three fun and active boys. Fortunately for us, Rachael recognised in FIX ‘N’ CHIPS what we always knew – that this is a business perfectly suited to a female operator. It’s unique work that melds a trade with artistry and requires attention to fine detail, and Rachael is a natural fit as a FIX ‘N’ CHIPS franchisee. 1. What made you choose a FIX ‘N’ CHIPS Franchise? I really needed a change of job and was always curious about FIX ‘N’ CHIPS as I had used them a few years ago. Also, I know I’m good with my hands, quite creative and a people person. 2. What were you doing before? 3. How have you found being self-employed? 4. Do you like the work? 5. Is it harder being a woman in this industry? 6. Was it hard to learn? 7. Do you feel supported by Head Office? 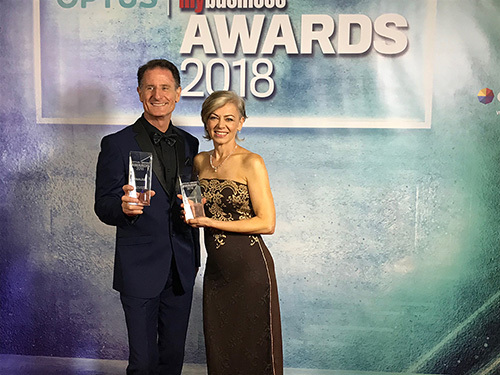 They have helped me from the beginning to the end with the training, setting up the business admin side and the process of starting my own franchise. 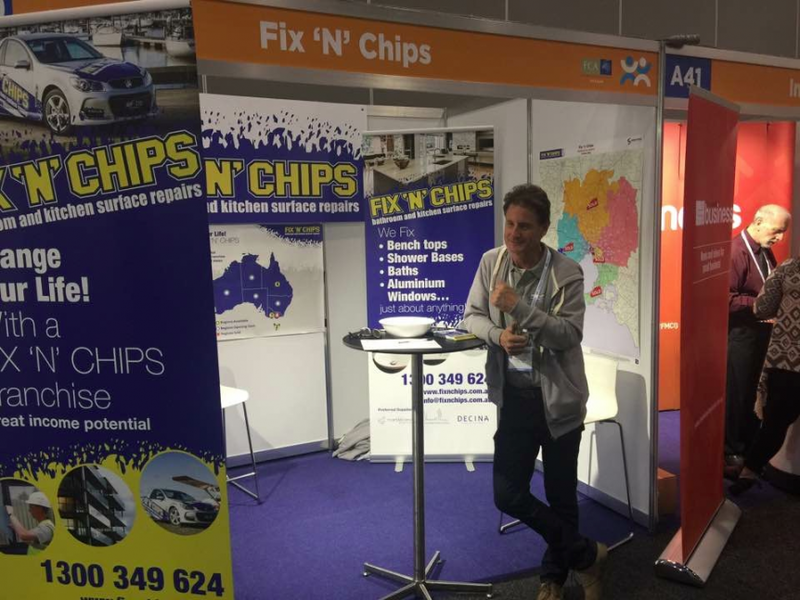 They are always happy to answer any queries I have and they forward on any new jobs that have come through FIX ‘N’ CHIPS 1300 number and Website. I know I always have full support if I need it. 8. Is it easier being part of a Franchise team? 9. Would you recommend a FIX ‘N’ CHIPS Franchise to someone/another woman? It’s enjoyable work, the equipment /tools aren’t heavy at all. If I can do it – any woman (or man) can!